Breaking news that rocked the modern card world arrived via a Bloomberg report that Topps Co – exclusive maker of MLB baseball cards is for sale. Unlike previous rumors of a sale, the information we are receiving now indicate a sale of Topps Co should be considered imminent. Topps has indicated it would like to sell the confectionary company (Ring Pops, Bazooka, etc) before selling the baseball card making operations. The article states that the confectionary business “contributes most” of the company’s $40M in EBIDTA. That figure seems questionable considering 11 years ago shortly before Topps was sold – the company did $326M in sales ($140M Candy + $178M Cards). 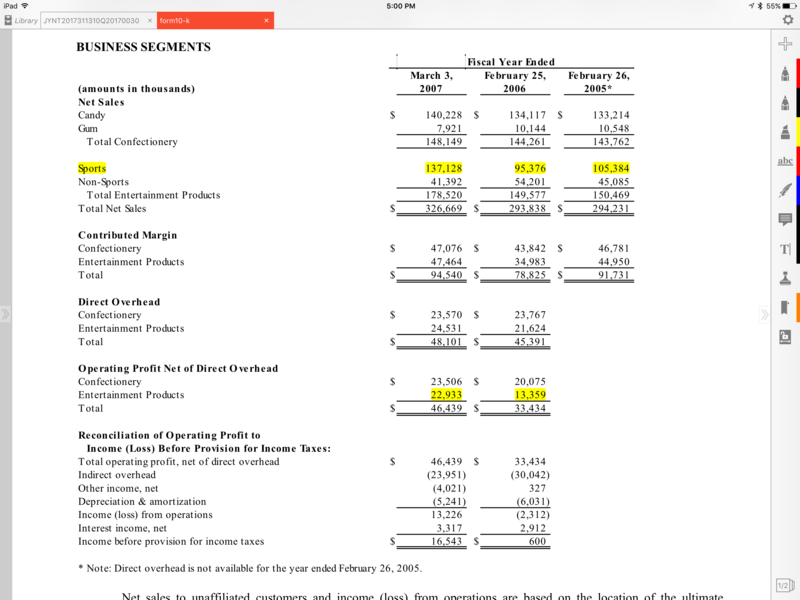 Notice the EBITDA for Cards & Candy was nearly split 50/50 in 2007 (Candy $23.5M vrs Cards $22.9M). Does it really make sense sales have grown from $326M to $431M over 10 years and Candy gross profit have doubled – while cards have diminished to nothing? Sources close to the situations have indicated exclusively to Sports Card Radio that the EBITDA numbers are wrong in the Bloomberg article – and that Topps Cards generated between “$22-33M” in EBITDA the last “several years”. One theory that seems plausible, Dearborn has a buyer(s) for the card company, so it places a “puff” piece in Bloomberg glowing about the candy business. Entrepreneur & YouTube star GaryVee recently posted a video where he seems to indicate he’s been in talks to buy Topps. Sources close to the situation indicate 25% owner, and former Disney CEO, Michael Eisner would love to acquire a larger stake in the baseball card maker. Several DOOMSDAY scenarios could play out if Topps falls into the wrong hands.